The Network tab lets you see information about network activity on your page. 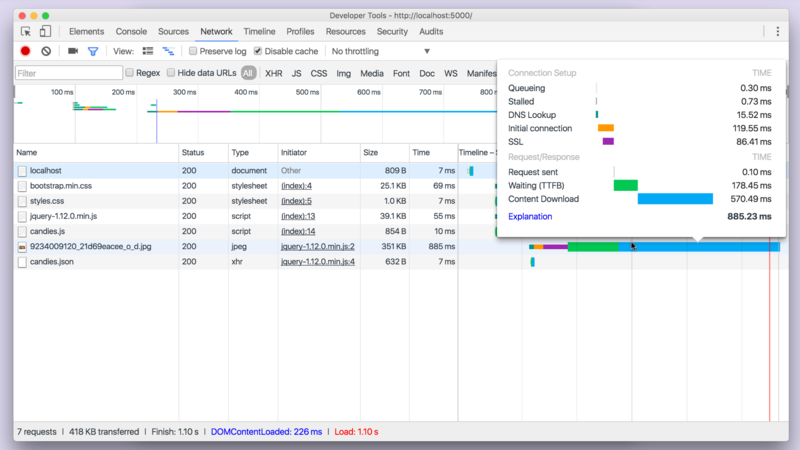 You can see HTTP headers, timing data associated with each item loaded on the page, and more. 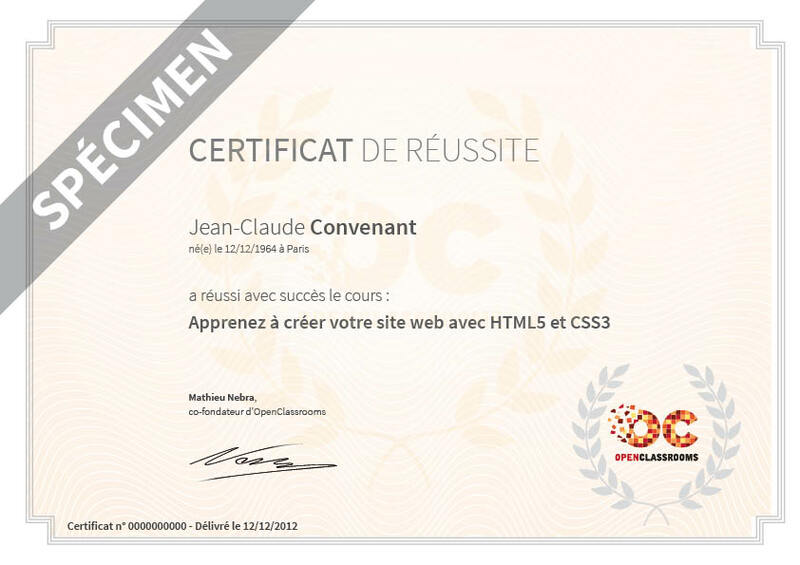 You'll immediately see three files loaded: the HTML document, the CSS stylesheet, and the jQuery that accompanies the project. Pretty simple! You can also see the size of each file. Loading it in the Network tab brings up the following result, in which I've clicked on the JSON file (loaded via AJAX). 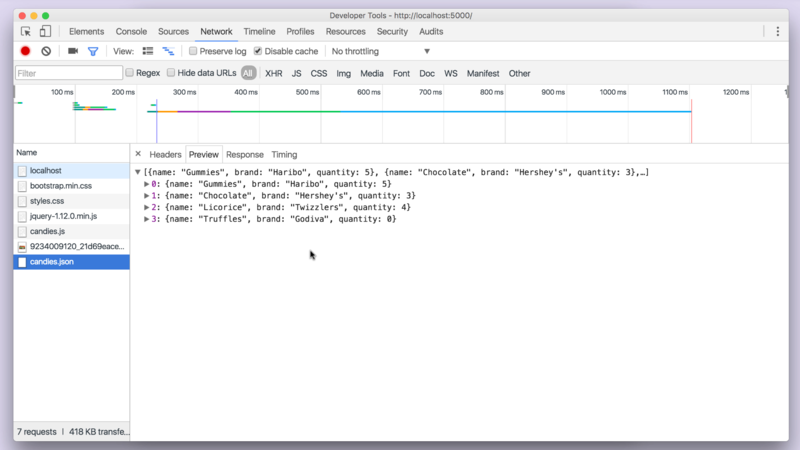 You'll notice you can even see the contents of the external JSON file, which is exactly the data the browser received! By clicking on the image file in the left list, you can also see the exact image that was loaded in. That's all cool, but a lot of it you can do via other developer tools tabs. However, for every item loaded into your web page, you can also see the time it took to load the item. For example, I can see that the image took the longest to load in my webpage. 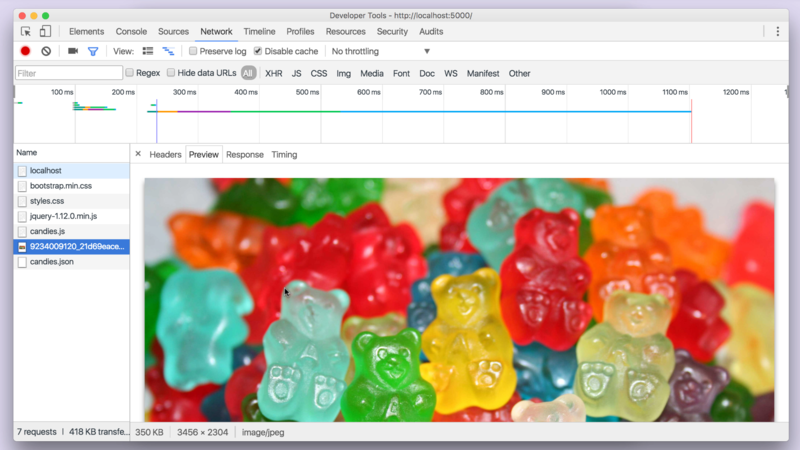 By hovering over its associated bar, I can even see a breakdown of what took the longest in the image loading process. 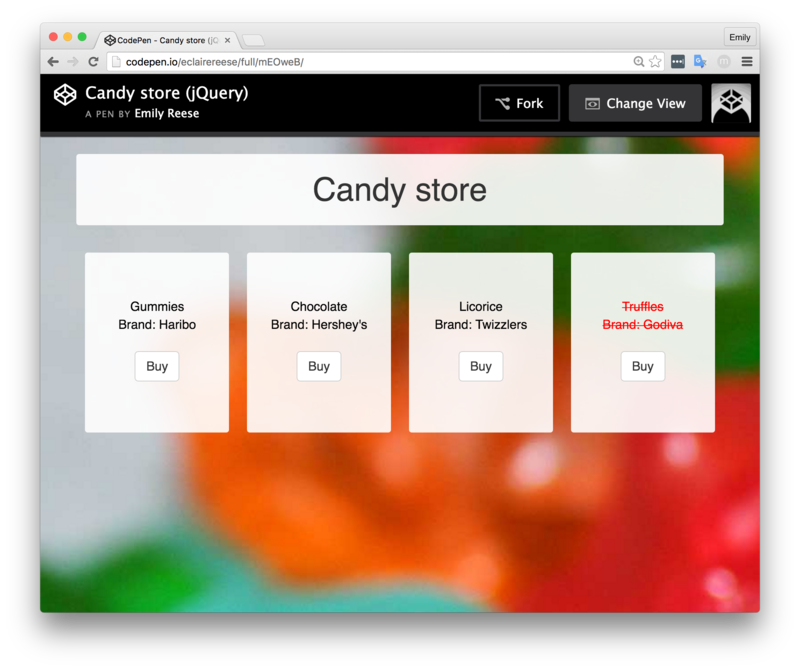 Notice that you have a series of buttons, called filters, such as "All," "XHR," "JS," "CSS," etc. By selecting one of these filters, you'll only see the terms that match these criteria. For example, if you're trying to evaluate only your image load times, selecting the "IMG" filter would be a great choice. Visit your favorite website and, while it's loading, check out the Network tab to see what's behind the amount of time the page takes to load!